Welcome to our 11th IAEG Connector! In this issue, we are putting the spotlight on another IAEG officer and another keynote speaker. I would like to introduce Mark Eggers who has been our Vice President for Australasia for the past 3.5 years. He is a principal and director with the company Pells Sullivan Meynink (PSM) based in Sydney, Australia. He has been a leader on the IAEG Executive Committee working with the organization's vision statement, aims and objectives and where we are going. He has done an excellent job in that area plus being an active member of the Executive Committee! Another keynote speaker is Professor Kerry Sieh who is the director of the Earth Observatory of Singapore which is part of the Nanyang Technological University of Singapore. 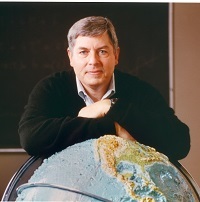 He is a specialist in geo-hazards, especially paleo-seismology. He will also be receiving the highest award given by AEG at this conference, its Honorary Member Award. An update on the upcoming congress in San Francisco: We now have registrants from over 44 countries around the world! Over 650 people have registered for the meeting so far. We have used up 72% of the room block at the Hyatt Regency so far, so we need just a few more people to secure rooms so we can hit 80% of the room block, at which point our meeting rooms are free. We encourage people to sign up for rooms soon. We have five and a half weeks before the congress starts. I am getting very excited as things are beginning to fall into place! Mark is a Principal and Director at Pells Sullivan Meynink (PSM), which is a geotechnical consultancy based in Sydney, Australia. In his consulting work, Mark specialises in engineering geological studies and geotechnical models for large civil and mining engineering projects with a particular emphasis in rock engineering, landslides and terrain evaluation. 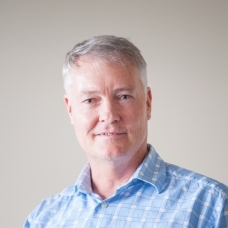 With over 30 years of experience, Mark has worked on projects throughout Australia and in overseas locations such as New Zealand, Southeast Asia, Africa and South America. 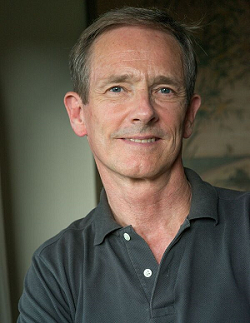 In 2012, Mark was awarded an Erskine Fellowship and has been appointed an Adjunct Associate Professor at the University of Canterbury in New Zealand where he assists with lectures and is active in research on rock engineering projects. He leads teaching of the Geotechnical Models course within the geotechnical engineering post-graduate program at the University of New South Wales in Sydney. Mark is also a co-presenter of the Australian Geomechanics Society courses on Geology for Engineers and Engineering Geology. Mark has published 25 papers and was convenor of Theme 31 on Engineering Geology at the 34th International Geological Congress held in Brisbane, Australia in 2012. Mark edited selected papers from this IGC symposium which were published by The Geological Society as Engineering Geology Special Publication No. 27, "Developments in Engineering Geology." 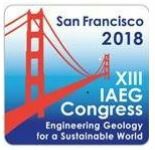 Mark has been the IAEG VP for Australasia for the term 2015 to 2018 and is a committee member of IAEG Commission C25 on the Use of Engineering Geological Models. Along with Ann Williams from New Zealand, Mark has nominated for the role of Co-President of the IAEG for the term 2019 to 2022. The Earth Observatory of Singapore began a decade ago with the mission to conduct basic geohazards research about earthquakes, tsunamis, volcanoes, sealevel and climate change, as well as to create a new undergraduate program in Environmental Earth Systems Science at our host institution, Nanyang Technological University. We've made good progress on all this and are now a well-recognized player in earth science research and education in Southeast Asia. The level of research and training in geohazards in Southeast Asia is at least an order of magnitude lower than it is in the West. And so we've been able to expand geohazards knowledge there at a very rapid pace. I'll briefly discuss two research examples, one primarily academic and the other mostly applied. A few years ago, I began searching for the point of origin of an 800,000-year old field of tektites strewn over the Earth's surface between southern China and Australia. The impact crater from which these obsidian-like blobs of melted crust originated had been estimated to be at least 15 kilometers in diameter and to reside somewhere in northern Indochina. But decades of searching had failed to find it. Through the use of satellite imagery, geochronology, gravimetry and field studies, my colleagues and I believe we have discovered the site of the impact, buried beneath an extensive volcanic field just east of the Mekong River in southern Laos. In addition, we're finding that the volcanic hazard posed by the volcanic field is far higher than had been appreciated. Coincidentally, in the course of conducting fieldwork there, we became acquainted with the construction of a very large hydroelectric-power project and were able to gain access to previously inaccessible parts of the plateau and to study some of the exposures made for construction of the project's roads, dams and conduits. Filling of the dam began in May 2017 and was nearly complete by this July. Sadly, one of the "saddle" dams, meant to allow the reservoir to be filled above saddles along the drainage basin's perimeter, failed after heavy rains on July 24, just as the reservoir was nearly full. I'll report what we've learned about this catastrophe. I have been Iceland the past two weeks leading a group of 24 around the country seeing all of the wonderful glaciers, volcanoes, geothermal areas, waterfalls, paleo floods and mid-Atlantic Ridge. I am now back in Portland. While I was in Iceland, I met with the officers of the Iceland National Group. They have filled out the paper work and are reactivating their national group. 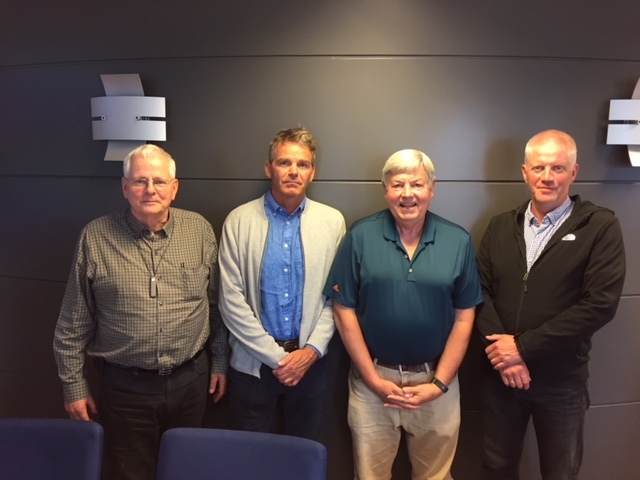 Below is a photo of the group (from left to right: Haraldur Sigursteinsson (president), Sigurdur Erlingsson, me and Thorsteinn Saemundsson. They are sending Gunnar Bjarnason to San Francisco, and he will be at the council meeting on Sunday! It is a great group in Iceland (very small though because the total population of the whole country is 350,000). They are putting on the European Soil Mechanics meeting next year in September!